← Today I’m thankful for life! As I look out my window and see the first snow flakes for the season I am very grateful for a warm fire, cozy slippers and hot tea to sip. I often pray to the angels to watch over me and keep me and my family safe. Today home out of the slippery morning commute was a day to cheer on the angels. Mother Mary’s message about the angels is a perfect holiday connection with all the angel decorations hanging on the trees and from my neighbor’s roof top. I hope your holiday season is warm and cozy no matter where Spirit takes you. May all the angels above watch over you and your family. Enjoy the end of 2013 and another year of change, transformation and insight. Blessings to you and all your relations and thank you for being part of my journey with Spirit! My Dear Children, it’s time again to trim the tree, put up the lights, and cook those holiday sweets. With the holidays upon us we surround ourselves with friends and family to celebrate another year come to pass. Christmas, Festival of Lights, Winter Solstice our winter celebrations have many names but one of the common spirits to over see the joy and gratitude are Angels. Angels are the servants of Heaven who love and guide us through life. Angels come in many forms, but are mostly known for their wings and loving hearts. Angels bring the blessings and energy from the universal level into the physical through us. They carry our desires and prayers to Divine and watch over us when we are in need. From helping you stay on the road when you’re tried at night or bringing you to the coffee shop where you met your husband, Angels are your silent partners who work around the clock. Thank you our beloved Angels for your love, patience, and guidance. Everyone has an Angel who watches over them. They take whatever form or face that makes you comfortable, but they always have a blinding light of joy and love that radiates from within. Even I had a guiding Angel that helped guide me through my birth with Jesus and my journey through life. Arch Angel Gabriel has been a friend and guiding light. He was the one who delivered the message of the my first pregnancy and the coming of the messiah. He helped me when Jesus traveled to the Far East lands and when he journeyed with his messages of love and change. Gabriel has always guided me so that I could in turn learn to be a guide for all of you. So when you make that holiday toast or place the angel upon your tree remember the loving beings that surround you through your daily lives. 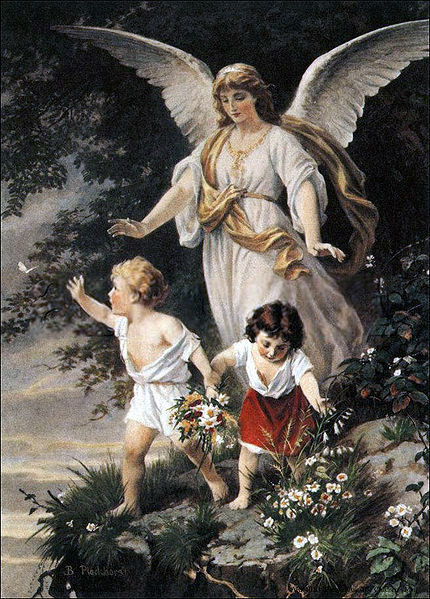 Let us send love and gratitude to the Angels for all they do for us. Blessings to all of you! May you change with love and grace in this coming New Year. This entry was posted in Uncategorized and tagged Angels, Mother Mary. Bookmark the permalink.